Augsburg - After a wonderful week for German football in Europe, the focus now returns to the Bundesliga with FC Augsburg kicking the weekend off by hosting a Hamburger SV side keen to bounce back from last week's slip against Stuttgart (kick-off 20.30 CET).. Both teams endured a difficult start to the campaign but it's Friday's hosts, currently occupying 16th spot, who are more in need of the three points. Up until a few weeks ago, Hamburg were in a similar position, but have since hauled themselves towards the relative safety of mid-table. Bottom of the table at the end of Matchday 6 and with just two points on the board, it looked like being a long season for Augsburg. The dreaded 'second-season syndrome' looked to be setting in, but form, and results, have picked up and after securing their first win of the season against Werder Bremen, keeping a clean sheet in Nuremberg will have done them a world of good. "We're really looking forward to a match against a big Bundesliga side," said head coach Markus Weinzierl. "We want to build on our performances from recent matches and maintain our successful streak, even if it's clear that we'll have to play to our limits for long periods against HSV." Encouragingly, Augsburg can point to a solid record against the Red Shorts, having taken four points against the Bundesliga's ever-presents last season. Hamburg, for their part, have see-sawed their way to tenth in the table. After a disastrous start and three straight losses, the northerners kick-started their campaign with Matchday 4’s sensational win over champions Borussia Dortmund, followed by taking seven points from nine ahead of last weekend's setback against Stuttgart. 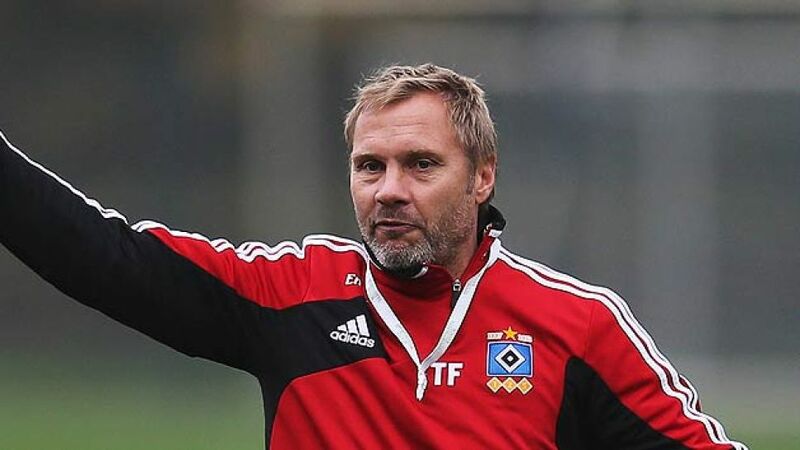 Head coach Thorsten Fink drew on his team’s last visit to Bavaria, a 1-0 success at Greuther Fürth, for inspiration in his pre-match press conference. "We found the right mix in Fürth," said the 42-year-old. "Our task now is to build on that and invest that little bit more into the performance." Set to play an important role in the game is South Korean striker , scorer of the winning goal in Fürth and HSV's leading marksman with four of the side's nine goals. He will be joined in attack by talismanic midfielder , with whom Son has struck up an excellent understanding. The Dutchman has set up three of Son’s goals but was starved of possession and marked out of the game by a disciplined Stuttgart midfield last week. Augsburg will have taken note of that and may well assign workhorse the job of man-marking the former Tottenham Hotspur man. With a lot to lose for Augsburg, caution may well be the order of the day.